Apparently not much is happening with Swedish civil society too after the failure of USAID/Sweden project, that simply found nothing to improve or reform. Head of “We Love Sweden As It Is” NGO Kripke Svensen said they had to collect signatures last month to ban an Aerosmith concert in Stockholm: “That band was just too loud. And that guy with the really giant mouth just seemed he could yell really loud, I don’t think our senior citizens whould appreciate that.” Latest population census indicated that 79.4% of Swedish is aged 65 and more and even the 30 babies that are born every year come with grey hair and peaceful wisdom in their eyes. Sweden was last mentioned in news in 1983 when country’s only band ABBA gave it’s last concert. After 25 of silence, some map makers started printing maps that simply had a giant lake instead of Sweden. King Carl XVI Gustaf had to oranize a press conference, where he pesonally opened Google Earth and proved that the country still exists. More importantly King Carl XVI personally met ArmComedy after hearing on the TV channel about two foreigners arriving at Stockholm airport. He warmly welcomed us and asked many questions about Armenia — questions mostly related to obtaining visas and immigration opportnities. 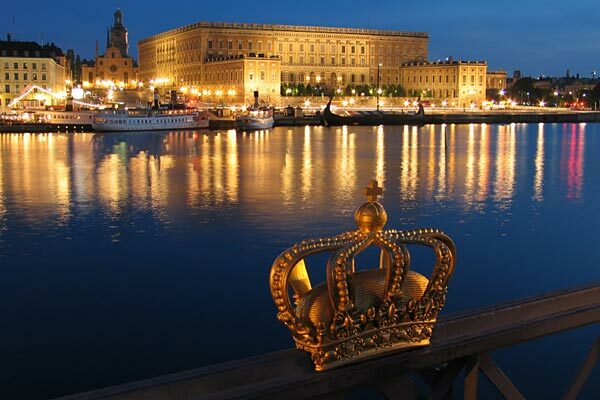 But… Stockholm is really the best city in Scandinavia (and one of the best in europe) and very cosmopolitan, you just need to know the right places to hang around and see what’s happening. and the Vikings are REALLY loud, just get on the subway on a friday night. and let me know if you really wanna be in sweden! I felt nothing reading this article. I liked it.